If you missed our session on Zoom account setup, you can check out the recording below! Please note, the information on closed-captioning in Zoom was incorrect. A meeting or webinar participant must be assigned to type real-time captions during the live event, or a third-party captioning provider may be used. Zoom does not appear to offer real-time voice-recognition closed captioning at this time. For more information, visit the Zoom support page on closed-captioning. To access Zoom basic and advanced trainings, request a webinar license, or download the Zoom Client, visit the CFAES Zoom Portal. Quick Byte: What is an Internet Meme? Merriam Webster defines a meme as an “idea, behavior, style, or usage that spreads from person to person within a culture”. With the introduction of the popular world wide web in the 1990’s, the meme morphed into a more specific ideal of how information was exchanged through online interaction. Think about the way that information is communicated online, or even with text message today. How do you convey emotion? The emoticon. These “faces” were popular in how people transitioned from face to face or conversation over the phone. Unable to see the emotions of the person typing meant there had to be a way developed that communicated how someone felt, otherwise something serious could be taken lightly, or something aimed to be lighthearted might be taken seriously. The first emoticons the :- ) and :- ( have stayed popular in use as they are simple, easy to remember, and convey needed emotion in communication. Today there are images. 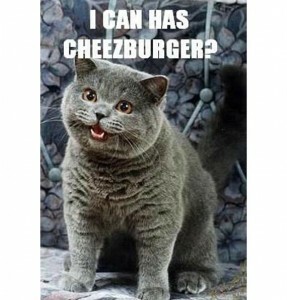 While they existed before “I can has cheezburger” http://icanhas.cheezburger.com/ exploded to popularity of the meme. From that time on, memes have taken on different popular culture. Today, we see meme’s almost as quickly as we learn about the news or popular culture that they relate to. 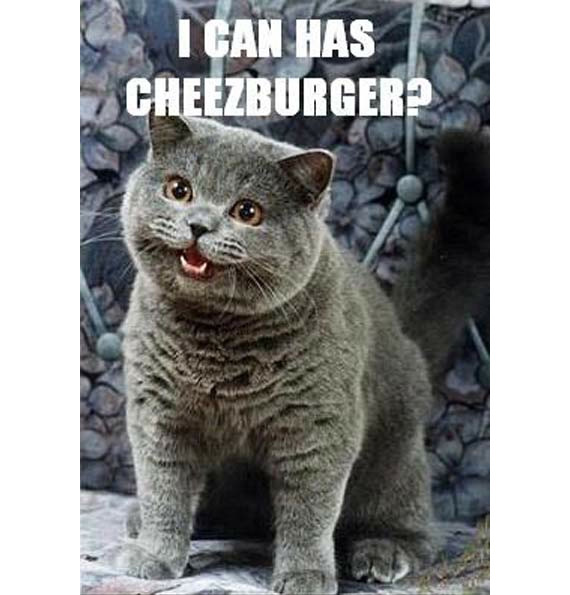 The I can has cheezburger meme has led to more cat pictures with funny sayings, often trying to give a human-like facade to cats. The idea of relating an animal to human problems has been popular with almost every animal imaginable. Often with meme’s they will feature the same image with different saying or text on them. 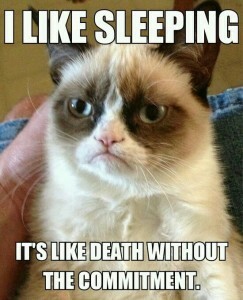 The angry cat comes to mind with this type of meme. Her little angry face is the same, but the words change (for the record, the angry cat is a female and named Tadar Sauce). 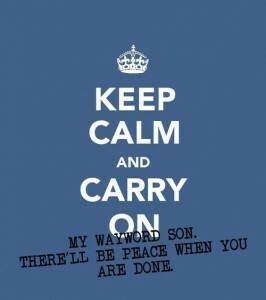 An example of a popular recent meme is the “Keep Calm and Carry On” Often replicated and changed to fit popular culture. The original was a World War 2 poster that the British used. Designed to be put in public places, such as transportation the idea was that the poster would only be hung up if the Germans invaded Britain. Since that invasion never happened, the poster was never put out publicly. (for more information on this poster please visit this site on the history behind it (http://www.keepcalmandcarryon.com/history/) The image to the left is a depiction of all of the original posters used by Britain during the war. 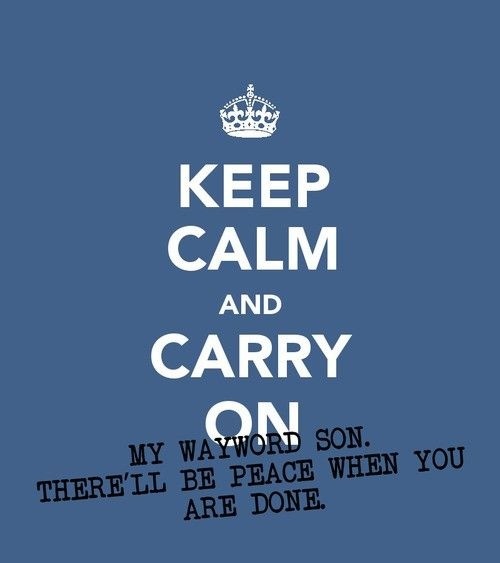 Below is an example of meme that has taken this British poster and gave it popular culture with the hit by Kansas, Carry on Wayward Song. So what does this mean for you and Extension? Well, it depends. Understand that at any time you have something that could become a meme. Popular culture can often be unpredictable, but there are many ways to bring a meme to the internet population in a way that would make it funny AND educational. In 4-H memes are often warm fuzzy moments for alumni, honoring parents, or volunteers. The idea is that there are so many people who support 4-H that they will share those photos and more and more people will be exposed to it. An example of this is the graphic to the left. 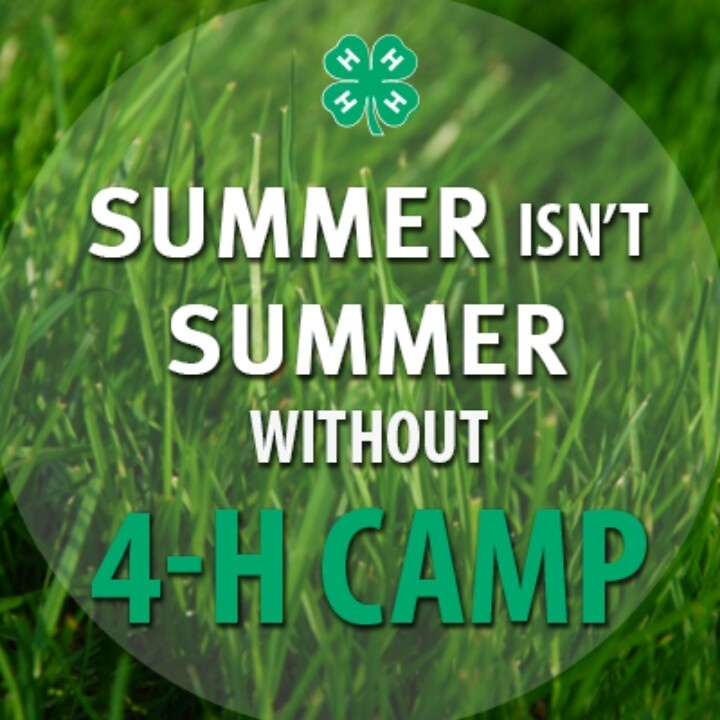 The graphic is visually pleasing, has the clover on it, and is aimed at those camp counselors and campers that we take to 4-H camp every year. 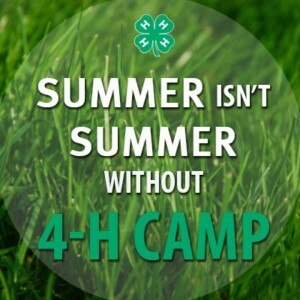 The more that put this picture on their social media accounts, the more people are exposed to the 4-H brand. The same can happen for any area. If there is just a snippet of information that someone wants to get out to the public, a meme may be the way to do it! 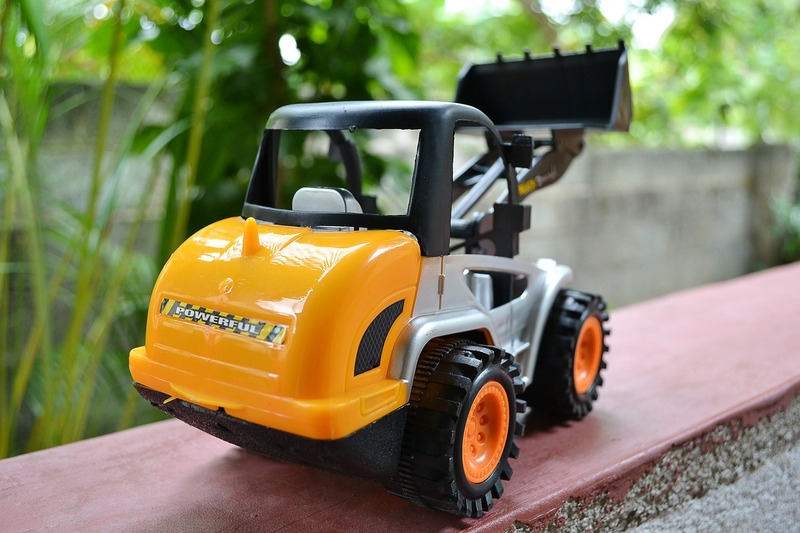 Maybe something about hand washing, or something about gardening practices could be popular with many people on social media. With sites like Pixabay for graphics, and a graphic editing program as simple as paint, a meme can be born! Ideally the graphics we could put out would have the college branding attached to them. The branding attached would give Extension as well as Ohio State exposure to the public as a place of resource in their communities. While putting together a meme may seem just like extra work, the ability to grab someone’s attention is a visual way online is worth the reach and interaction you can gain. Think about what you could contribute to the online world with meme’s. What important information might you be able to share? A fun example to look over is the http://heckyeaheducationalmemes.tumblr.com/ While based upon English education, you can see why it would work to have small snippets of information to share. As always, if you have questions, please let me know by leaving a comment or emailing me at gottke.4@osu.edu. In order to help share information I thought it might be interesting to shake things up with some quick information that you can use immediately! Today- is the digital footprint. Follow along with the steps and learn first hand what a digital footprint is, and how it works. Type your first and last name in the search box, and maybe the town you live in if you think that your name is considered to be “common” ie: John Smith. Read the first page of results from the search engine. Are you surprised by what you see? Is there anything that would make you vulnerable to online predators? The information that you are seeing is called a digital footprint. A digital footprint is the data that an internet user has left behind. The information can range from social media, to content submitted online, or cookies that your computer has saved from your web searched. This information can be found through search engines online. Simply by typing your name any person can look up information about you (or someone who shares your name). Do not give or post personal information such as full birthday, address, phone number, or ID number. Be aware of what you post. Information can be found and used against you later. Ensure that your social media only allows your friends to see your profile. Do not post things to bully, humiliate, or intimidate others. Once posted, things can almost never be fully removed. Why does my digital footprint matter? People can judge you by the content you post online. Employers will often search for you online to learn more about you. Digital footprints can be a positive tool for professionals marketing themselves or their business. 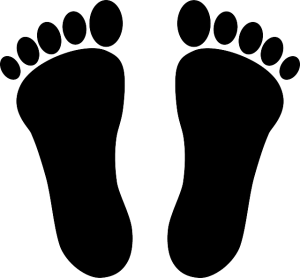 Digital footprint is not a negative term, but a descriptive term. Think of one thing you are going to do to downsize your digital footprint. What is something that can engage your clientele, and add some pizazz to your presentations, marketing, or reporting? Easily added are pictures that help to tell a story, but even more exciting is the possibility of making a movie that literally can speak volumes to anyone who sees it – even when you are not there. Videos allow the viewer to be transported to the kitchen, the field, or 4-H Camp without leaving their couch. 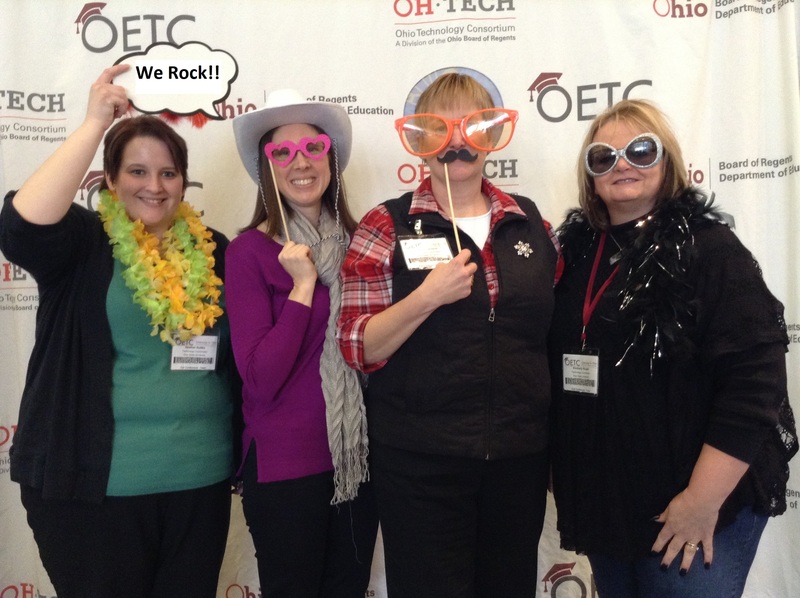 The Ed Tech team is working to design a workshop for Extension professionals to develop their skills in making videos for these purposes. Part of the goal in explaining our ideas is that you will collaborate and we can build to make this a great experience! Through this workshop we will explore five major areas: brainstorming, pre-production, production, post-production, and other topics. These areas will lead professionals through types of videos, suggested software (both paid and free), planning a video, lighting, location, equipment needed, how to edit, and how to publish your video. 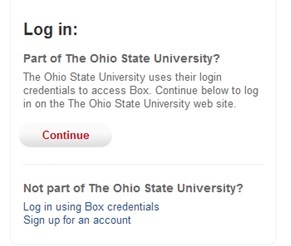 Buckeye Box – Can I share documents with non OSU email accounts? Buckeye Box – Help! I have multiple copies of same file. Box Sync uses what’s on the website as the starting point and puts any additional/edited content on a user’s desktop in a new “My Box Files [Backup]” folder. That way none of your users’ work is lost. 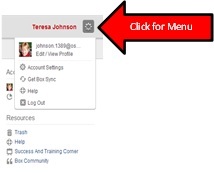 Once in your Box, click on the icon to the right of your name for a drop down menu and choose Get Box Sync. What Can I do with Buckeye Box? Contact an Ed Tech today to schedule a FUN and INTERACTIVE presentation or training for your EERA program area.